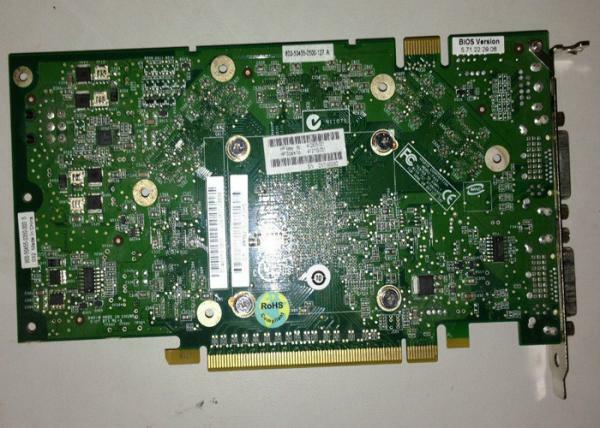 A video card (also called a display card, graphics card, display adapter or graphics adapter) is an expansion card which generates a feed of output images to a display (such as a computer monitor). Frequently, these are advertised as discrete or dedicated graphics cards, emphasizing the distinction between these and integrated graphics. At the core of both is the graphics processing unit (GPU), which is often erroneously used to refer to the video card as a whole. Most video cards are not limited to simple image output. Their integrated graphics processor can perform additional processing, removing this task from the central processor of the computer. For example, Nvidia and AMD (ATi) produced cards render the graphics pipeline OpenGL and DirectX on the hardware level. In the later 2010s, there has also been a tendency to use the computing capabilities of the graphics processor to solve non-graphic tasks. Usually the graphics card is made in the form of a printed circuit board (expansion board) and inserted into an expansion slot, universal or specialized (AGP, PCI Express). Some have been made using dedicated enclosures, which are connected to the computer via a docking station or a cable.